One of the greatest 18th century poets, contemporary of Mir Taqi Mir. 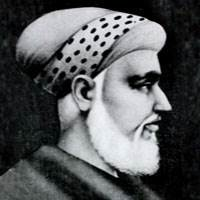 Mirza Mohammad Rafi Sauda (1713-1781), son of an aristocrat father who had migrated from Kabul to India for trade, was born in Delhi. He was well provided for to meet the needs of a decent life and lived in comfort. Not attracted by mercantile interests of his family, Sauda found a place of prestige in the court and also among the nobility. He left Delhi when the city fell a prey to misfortune, and went to several places in Uttar Pradesh, before he came to Lucknow. Nawab Asifuddaulah patronised him and rewarded with an annual stipend of rupees six thousand. Sauda wrote in Persian, before coming to Urdu. John Borthwick Gilchrist, the famous linguist and Indologist, acknowldged rather profusely that he learnt his Urdu from Sauda’s Divaan. The Persian literary tradition helped him acquire a tone and tenor which he adopted to his benefit for writing his poetry in Urdu. He looked at life sportingly, enjoyed his vigour and optimism, and relished the pleasures of life in full measure. He reflected this spirit of broader and brighter apprehensions of life in his poetry with certain ease. Both his Persian and Urdu poetry expressed his maturity of thought and linguistic finesse in these two languages. His ghazals hold close to the tone and tenor of panegyric which he brought to its height. Marked for his vitality of imagination, precise turns of phrases, and compact expressions, he practised various forms of poetry like panegyric, satire, and elegy, and emerged as one of the canonical poets in Urdu.